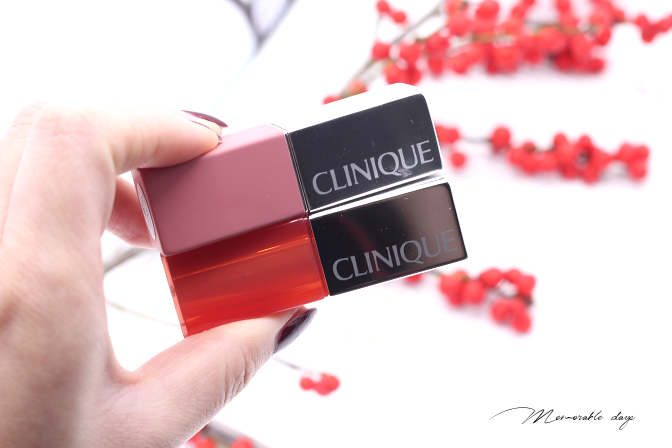 Swatches: Clinique Pop Matte Lip Colour in Peony Pop & Glaze Lip Colour in Melon Drop Pop | Memorable Days : Beauty Blog - Korean Beauty, European, American Product Reviews. Matte lips are HOT! 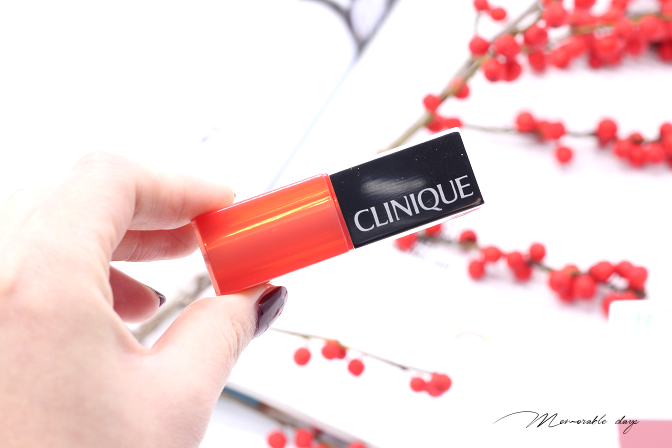 Clinique recently released new lipsticks! 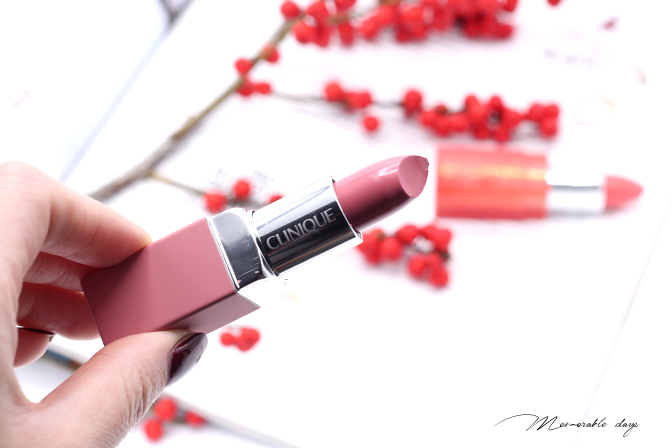 Their new range Clinique Pop Matte Lip Colour + Primer includes 16 shades. 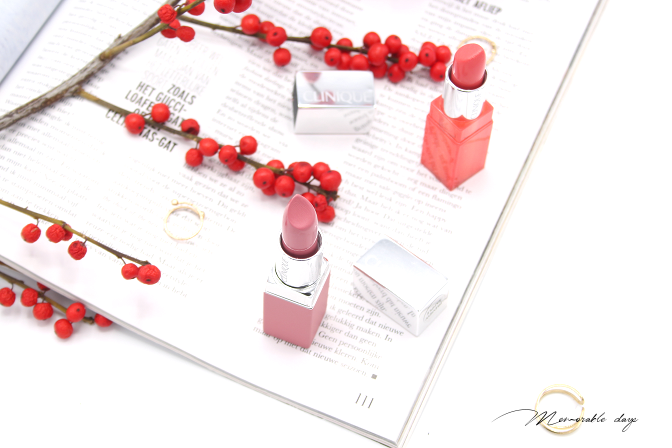 It has a weightless, yet pigmented formula that stays for 8 hours and is creamy & matte. Well, that's what they claim. Its built-in primer helps to glide it on easier. 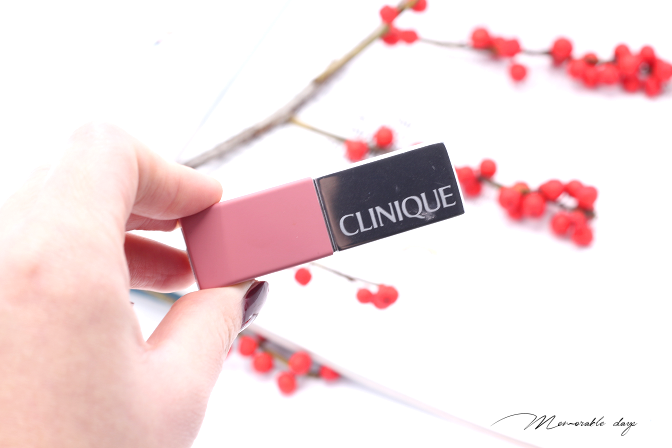 Another new one is the Clinique Glaze Lip Colour + Primer that includes 6 shades. A pretty pop of bold yet see-through colour + smoothing primer in one coat. It also has a built-in primer and stays on the lips up to 8 hours while keeping it moist. I received one of each for swatch purposes so check it out in today's post! Gorgeous chic packaging I would say. 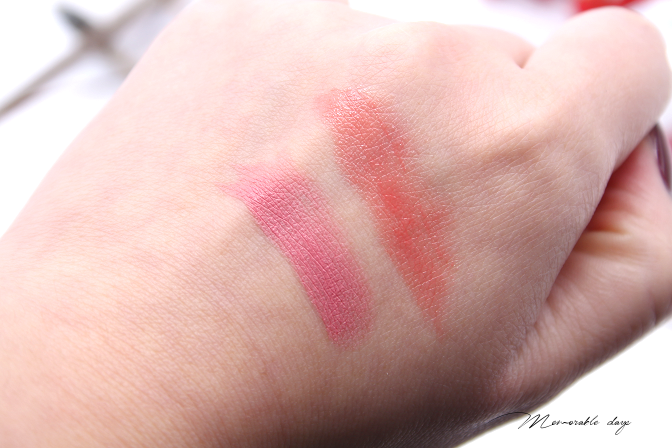 The pink one is the Clinique Pop Matte Lip Colour in Peony Pop and the orange one is the Clinique Glaze Lip Colour in Melon Drop Pop. It really glides on the lips and I love it. It feels moist on the lips and both aren't drying. 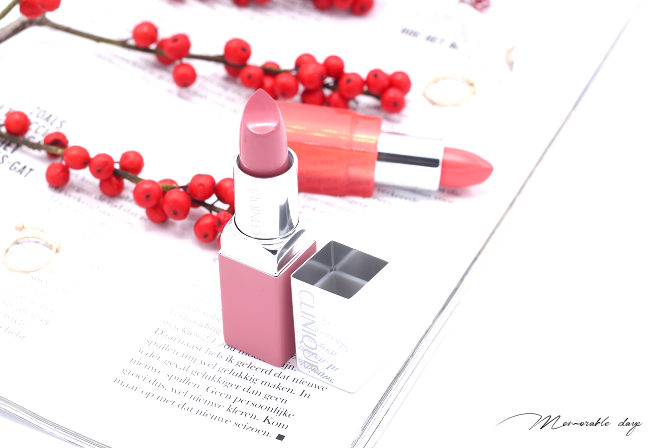 The peony pop is a pink shade and has a matte finish. It has a very natural look while its on the lips. 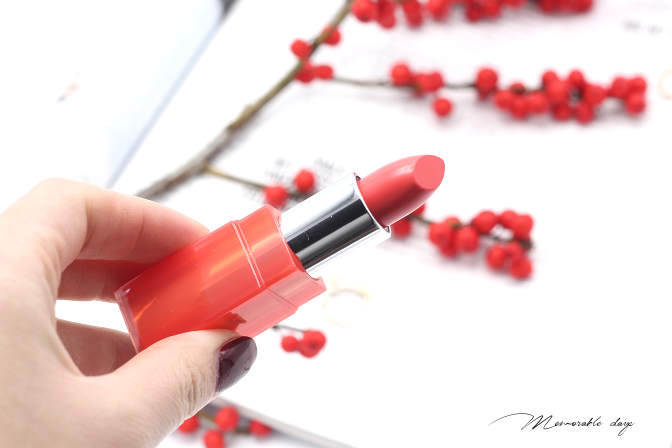 The melon drop pop is an orange shade and it looks very vibrant on my hand, but when you apply this on the lips it becomes a very natural orange shade that I absolutely love. Does it really last for 8 hours? Of course not, it just goes away when you drink or eat, so re-application is definitely needed. It's so gloomy in The Netherlands during the Winter days, so taking selfies with the lipsticks on is a tough job. I don't like bad quality pictures on my blog so I rather don't post it then. My apologies for that! They are sold at the Clinique stores and on their website. Each lipstick is sold for €22,50. note: these products were sent to me for review purposes, this didn't affect my opinion about the product. I didn't receive money to write about it, see disclaimer.